Goodwyn Condominiums is the shining star of Madison Avenue, providing a historic backdrop for modern daily life at the corner of Madison and Second in the Downtown core. 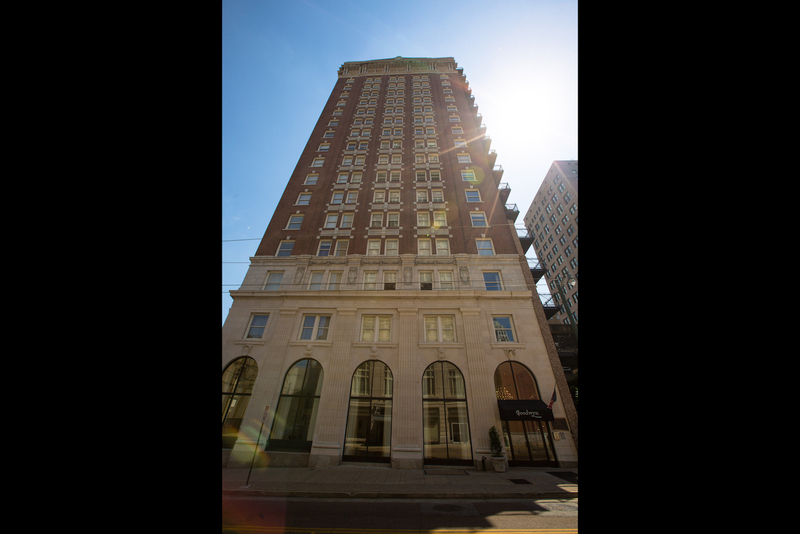 Goodwyn Condominiums is situated in a beautiful 18-story tower, with two-bedroom, two-bath units arranged two to a floor and larger, three-bedroom, three-bath units one to a floor. 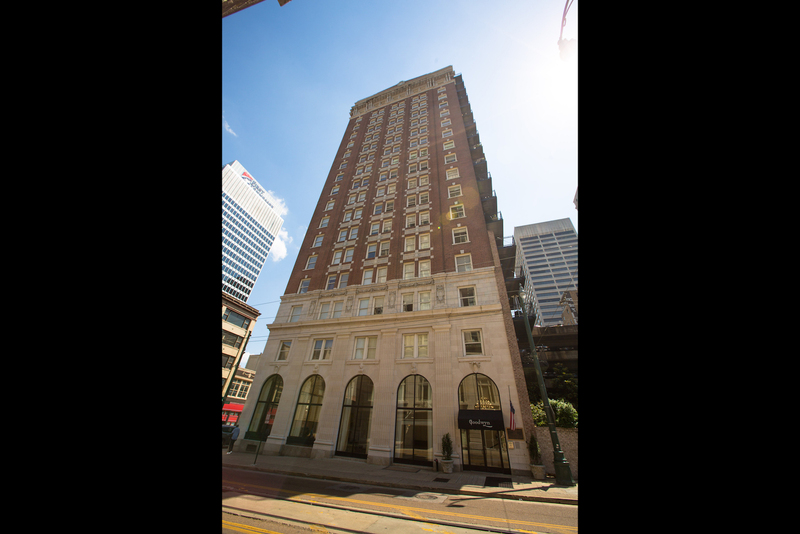 The Goodwyn building was constructed in 1908, originally serving as home to First Tennessee Bank and later Central Bank and Trust Co. The structure’s transformation into condominiums began in 2006. One of the unique aspects of the building is its size – Goodwyn Condominiums contains about 65,000 square feet. Floors two through eight have two units on each floor. Each unit has two bedrooms and two bathrooms. Floors nine through 18 are single units with three bedrooms and three bathrooms and approximately 3,000 square feet. Goodwyn is a natural for residents who enjoy entertaining. The large lobby features an entertaining area that includes personal liquor lockers where each resident can lock away his or her own private stash. If you want to take parties outdoors, a courtyard sits to the west of the lobby, and a rooftop offers a hot tub, party area and gas grill for cookouts.